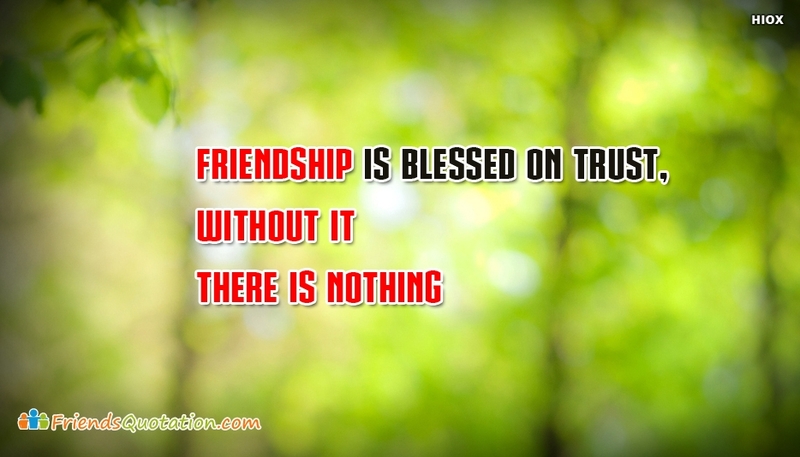 Trust is the foremost thing that builds the friendship. Never ever break your promise or the trust that your friends hold on for you. When someone believes you from heart, make sure you do anything to keep their trust. The quote "Friendship is Blessed On Trust, Without It There is Nothing" is available for free download and share through any social media.